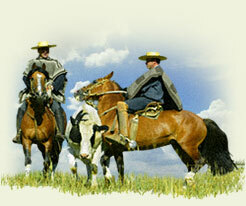 Did you know the Chilean Horse is the oldest registered stock horse breed in America? Did you know the Chilean Horse is a native breed of 100% Iberian origin that has been bred by horsemen that have selected it for excellence since 1544? Did you know that the Chilean Horse is the only American stock horse that has maintained a closed registry that has not been purposely crossed with any other breed before or after its formal registration started in 1893? Did you know that the Chilean Horse has been selected for a single cowhorse event for the past 160 years and that this event is very likely the most physically and mentally demanding stock horse event in the world? Did you know the Chilean Horse has been continuously selected for cow working instincts for over 450 years and that its courageous attributes were also tested for 345 years in an ongoing war against the Mapuches Native Americans, the War of Independence and the War of the Pacific? Did you know that the first Chilean Horse stallion to be imported to the United States won the NRHA National Championship Free Style Reining in Oklahoma City and the second stallion was runner up in the Intermediate Non-Pro Division of the NRHA Derby? Did you know that the ideal prototype of the Chilean Horse was a stallion born in 1858 and that the Breed Standard was formalized in 1921 describing the same type of horse that is still proudly produced today? Did you know that the Chilean Horse is the only American stock horse that meets the classic definition of a true breed, one which groups together closely related individuals, with a defined and easily distinguished type and temperament that consistently reproduces these characteristics that are best suited for a specific function in a particular environment?